Sydney Band 379 – As one of Sydney’s most versatile and experienced cover bands, Sydney Band 379 will deliver the perfect show for any event. From smooth jazz and grooves as background music through to disco and dance, Sydney Band 379 will cater directly to your audience. Sydney Band 379 features some of Sydney’s best musical talent playing all the old favourites and the best new music, and with an understanding of weddings, corporate and social events that only years of experience can bring, you are ensured a professional service and fantastic live entertainment for your next event. Female and male singer, brass also available. 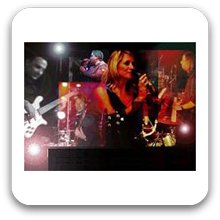 Can perform as a: 6 Piece Band and are available to perform in Sydney and Surrounding Areas.